Researchers at the University of California Irvine have created a chip for use in medical imaging and other applications that’s as powerful as it is tiny. 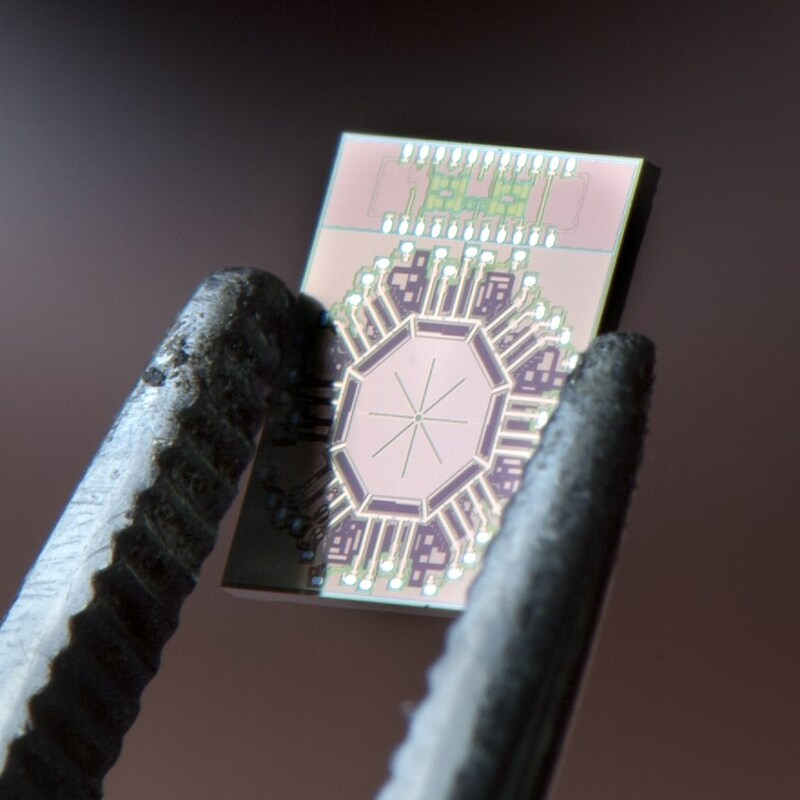 The pint-size millimeter-wave radiator could lead to better scanning of tissues and organs, but may also work as part of our everyday wireless data ecosystem. If millimeter-wave radiation sounds familiar, that’s because it has something of an ignoble history. Perhaps its most infamous application is in the “pain rays” proposed about a decade ago; high-energy beams of this wavelength could heat up the skin, producing the sensation of touching a hot light bulb. It was eventually deployed against geese. Not long after that it was — and continues to be — employed in the body-scanner machines many of us have had to stand in, hands up, at the airport. So it’s nice to see the technology in its more laudable applications. The useful thing about millimeter-wave radiation is that it penetrates the body to varying amounts depending on the energy and wavelength, and by carefully monitoring the reflection you can get a detailed picture of what’s lurking underneath the skin. UCI claims that this very small chip has the highest power and efficiency, yet lowest noise levels, ever found in such a device. It also modulates the signal to the desired frequency, polarizes the radiation (circularly, at that) and performs other functions that were relegated to separate chips or devices before. The improved size and power could make possible a handheld scanner that automatically penetrates to the desired depth, monitoring tumors or searching for anything suspicious. But it could also be used in the soon-to-be-omnipresent Internet of Things (including autonomous cars). Small, low-power, limited-range chips with high-data throughput capability are in great demand, and millimeter wave (it’s in the gigahertz range) could be a piece of the puzzle. The research was sponsored by the Samsung Advanced Institute of Technology. Heydari and his colleagues will present their findings at an IEEE conference this week.